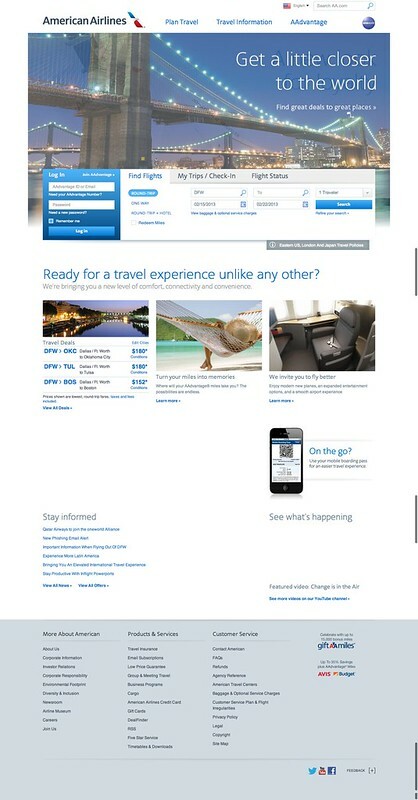 It didn’t take them long, but American has already updated AA.com to reflect the new branding. 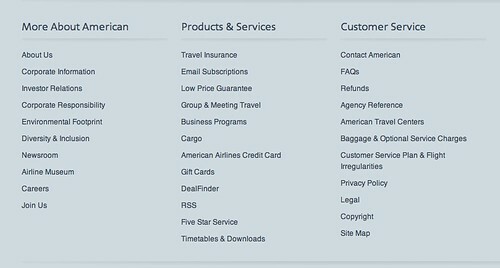 The navigation menus remain the same, though some have been relocated. Those menu items that are probably most frequently accessed remain located at the top of the page. The rest are now located at the bottom of the website. I did not find “view available seats” which is a feature I used quite often. It is a handy function and might be worth bookmarking. Thanks for the comments! Agree with Will. “View Available Seats” was the first place I went to look for. The only way to currently access that function is to search “View Available Seats” and it comes up.